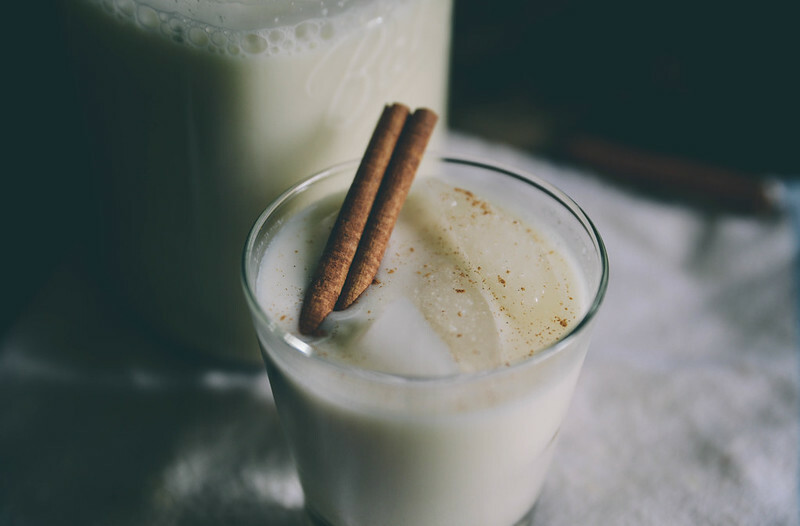 Elizabeth M Jacob: sipping horchata and welcoming fall. Over the summer, while on our trip to Friday Harbor, we stumbled across a quaint Mexican restaurant tucked quietly away off the main street. We happened to like it so well that we made it back a couple more times. Yes, possibly for the freshly squeezed margaritas that beckoned you to order a second, but also for the authentic food blended with a modern twist. The one item off the menu that caught my eye, but that I never tried, was the horchata. I had vaguely heard of this creamy Mexican drink that combined rice and almonds with a hint of cinnamon. But when I saw it being served, over ice, my eyes grew wider and my mouth more curious. I knew I had to make this drink. And so this week, with autumn air that looms about, I decided to dive in and attempt to quench my curiosity. I searched online to get an idea of the recipe and then, as I most often do, I walked into the kitchen empty handed with an idea on my mind. I'm not really sure if you can call this idea horchata or not, but it satisfied my curiosity and my thirst. You certainly can't go wrong when it comes to mixing almonds and vanilla. Blanch the almonds by tossing them into boiling water for about a minute, then drain under cold water. After blanching, give them a squeeze and the skins should slip right off. Once the almonds are blanched, skinned, and dried, toast them in a dry skillet over medium heat until lightly brown. 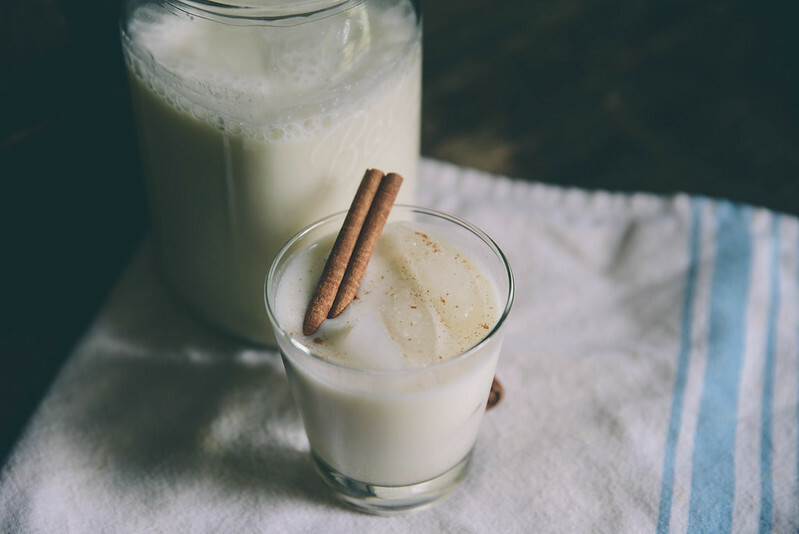 Add the almonds and cinnamon stick together in a glass jar (see if you can get your hands on a mexican cinnamon stick) and stir in 3 cups of hot water, allow to cool to room temperature then cover and let stand overnight on the counter. Transfer the mixture into your blender, add the 2 cups of cold water and blend until smooth. Strain the blended mixture slowly into a pitcher. I used a fine mesh sieve with a layer of cheesecloth. You may want to repeat this process, my horchata ended up being a bit on the grainy side. Add the raw honey and whisk to combine. Feel free to adjust to your sweetness level. Wow. I am curious about this one. I will try to make one. I hope it's good! let me know how it turns out and your thoughts!! i would love to hear another's opinion. my daughter (2) loves horchata! i will have to attempt this.